Daniel J. Siegel, M.D. is a clinical professor of psychiatry at the UCLA School of Medicine where he is also on the faculty of the Center for Culture, Brain, and Development and the Co-Director of the Mindful Awareness Research Center at UCLA. An award-winning educator, he is a Distinguished Fellow of the American Psychiatric Association and recipient of several other honorary fellowships. Dr. Siegel is the Executive Director of the Mindsight Institute, an educational organization that focuses on how the development of mindsight in individuals, families and communities can be enhanced by examining the interface of human relationships and basic biological processes. 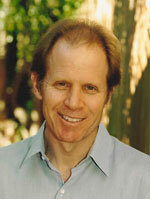 He has published extensively for the professional audience, including his latest book, The Mindful Therapist. Dr. Siegel’s ability to make complicated concepts exciting as well as easy to understand has led him to be invited to address local, nation, and international groups of educators, parents, public administrators, health care providers, policy-makers, clergy, and neuroscientists. This interactive talk will examine two major questions: What is the mind? and How can we create a healthy mind? Complete with candid stories and playful illustrations that bring the authors’ suggestions to life, No-Drama Disciplineshows you how to work with your child’s developing mind, peacefully resolve conflicts, and inspire happiness and strengthen resilience in everyone in the family. With an introduction by Jack Kornfield, Dan leads a unique guided meditation he calls the, "Wheel of Awareness Meditation". Goldie Hawn talks about children & mindfulness and brings researcher Dan Siegel to show the scientific side of her wonderful ideas! Dr. Rick Hanson presents a FREE seven-part video series—The Compassionate Brain—that explores effective ways to change your brain and heart and life. In this talk, Dr. Daniel Siegel explains his concept of "Mindsight". He gives his definition of the mind and how it includes relationships and the body. Studies of physical health, emotional well-being, longevity, happiness, and even wisdom suggest that our ability to be aware of our own internal world and feel deeply connected to others is at the heart of both resilience and mental health. From everyday stress to severe trauma, many obstacles to a full life can be overcome by developing mindsight, an ability to perceive the mind and literally redirect the flow of energy and information within the brain. Listeners will gain a sense of their own humanity.